Carpenter, the manufacturer of Fireseal, has expanded its sales team to meet increasing demand for its acoustic, fire retardant flexible foam, developed for use in the heating and ventilation, and construction sectors. 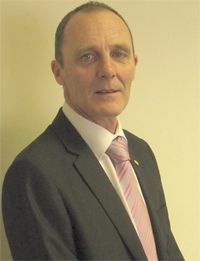 Simon Turner joins the division and has more than 30 years' experience in the flexible foam industry. He has spent the past 10 years working in Carpenter's bedding business. Technically driven, Simon has recently undertaken a certificate of competence in Building Acoustics Measurement at Southampton University.